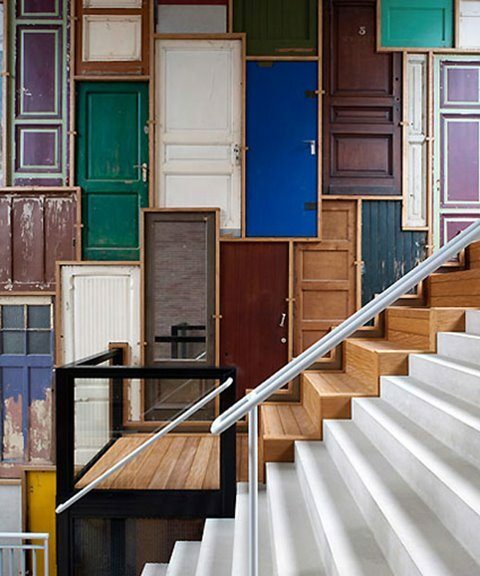 The famous author Flora Whittemore once said “The doors we open and close each day decide the lives we live”. If she is right, then perhaps a new door for your home could be the big change you are looking for this Autumn! With so many reclaimed period doors available today, dating back as far as the Georgian era, it’s no wonder these beautiful pieces are popping up in modern homes throughout the UK. 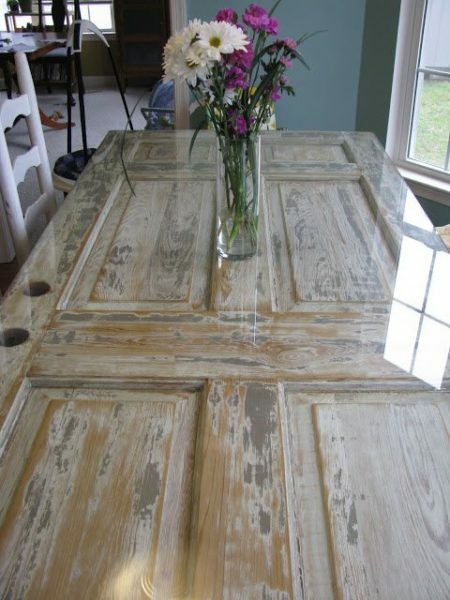 Being the perfect item to pick up cheap and get creative with, a solid hard wood door from yesteryear will provide you with a great DIY project and a new look home the Jones’ will be jealous of. But if putting up a new door doesn’t quite appease your creative mind, why not turn your dream door into a fabulous bespoke dining table. With the right tools and know how, you and your family could soon be sitting round your masterpiece sharing stories of your day! 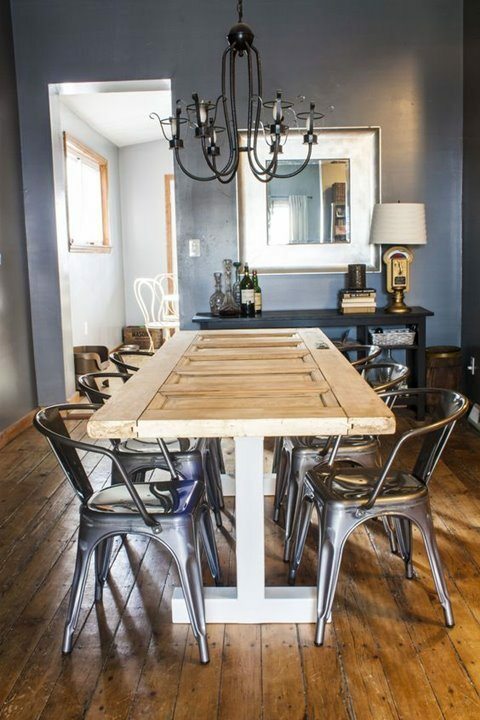 Compliment the look of your table top with some fabulous custom steel legs available at many online retail stores. Being sure to assemble correctly, simply add a few coats of Danish or Tung oil to seal your table from any future spills. Uninspired? Then take on the task of creating your very own feature wall installation! Although not for the faint hearted, the results are truly stunning. 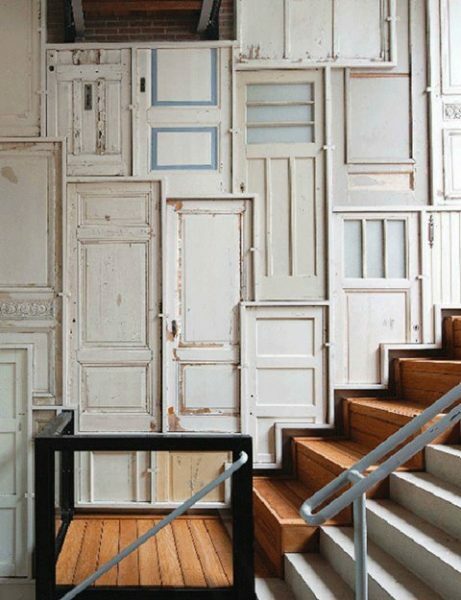 Creating a room that resembles a page from any fairy tale, why buy one period door when you can flood your walls with as many as you can find! If however, all this talk of installing, sanding and staining is a bit much, then call in the professionals to create something beautiful and bespoke just for you! 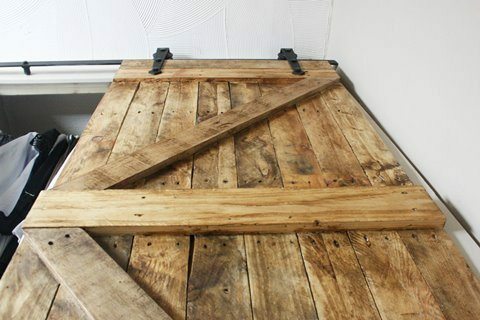 Whether they’re restoring a timeless antique door, creating a unique item of furniture or building a piece from reclaimed scaffold and pallets – such as this wonderful barn door created by Sussex woodworkers, The Wood Shed – the options are truly endless!